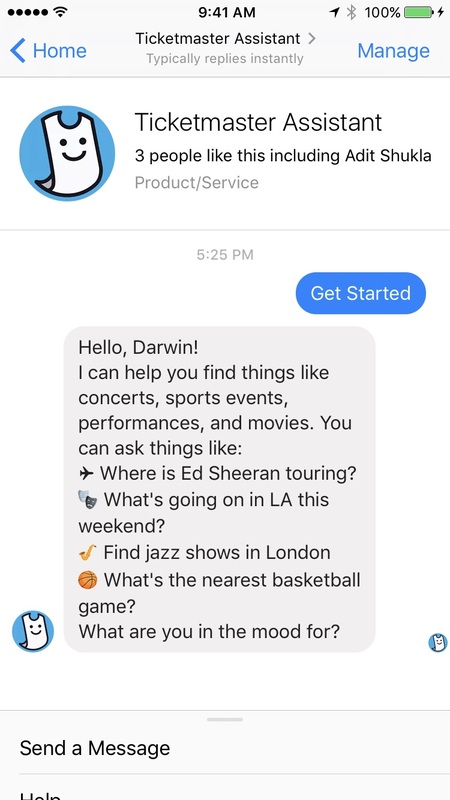 A Facebook Messenger bot … yeah, that’s the ticket, for Ticketmaster. 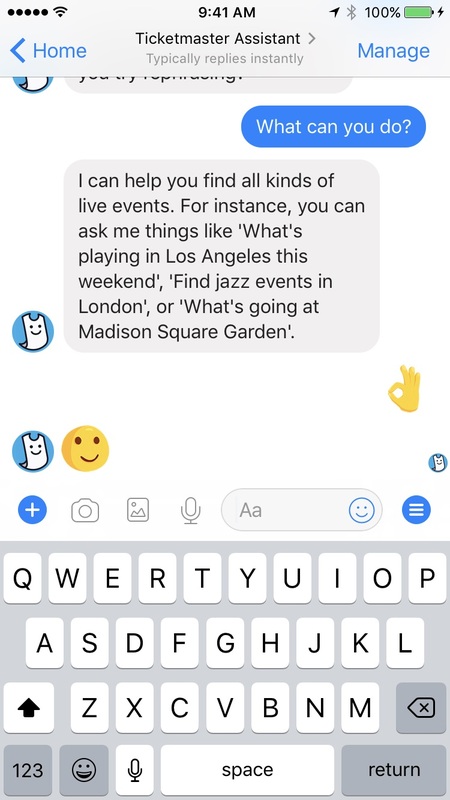 The ticketing service introduced its Ticketmaster Assistant bot Wednesday, helping users search for events by date, location, genre or specific artist or team. Start with a simple, “What’s happening tonight?,” and see all the live event options in your area including concerts, sports, arts and theater, comedy and more. 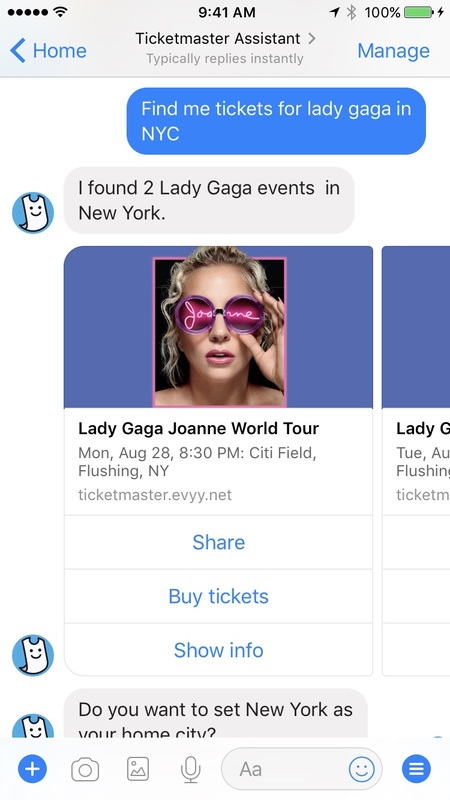 Or get more specific from the beginning, “Is Lady Gaga playing in New York this year?”—spoiler alert: She is and we have tickets available, but don’t take our word for it, ask for yourself. And because your friends are already on Messenger, it makes rallying the crew that much easier. 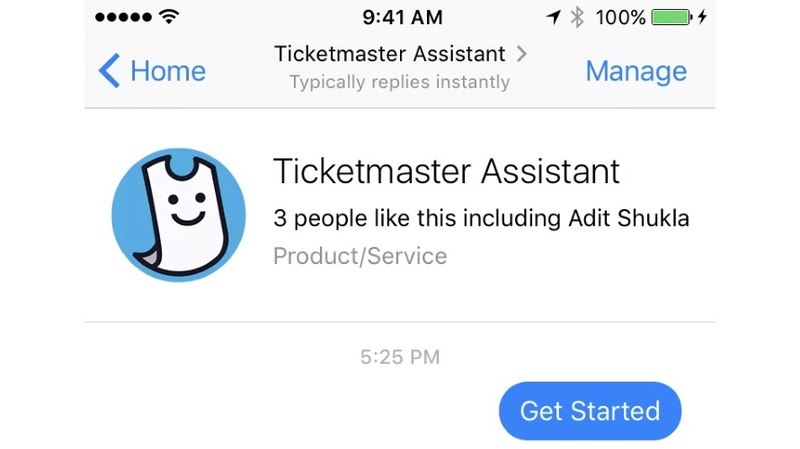 Cutting and pasting is so 2016: Use Ticketmaster Assistant to share links directly in Messenger. Buy tickets with a link that drops you seamlessly into the purchase experience at Ticketmaster, or learn more information about the event.